residents to the Aviano Air Base community in Italy and it's surrounding area. Aviano Air Base (IATA: AVB, ICAO: LIPA) is a USAF airbase in Aviano (Friulian: Avian), a town in the province of Pordenone, at the foot of the Dolomites mountain range of the Carnic Alps in Friuli-Venezia Giulia, Northeastern Italy. 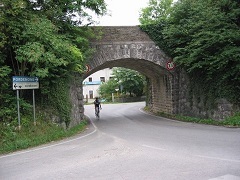 It overlooks to the southwest the largest and richest agricultural and industrial plain in Italy. The air base is about a half hour from skiing at Piancavallo, an International ski resort, and an hour from the Mediterranean beaches of the Adriatic (Grado, Jesolo, Lignano, Bibione and Carole). 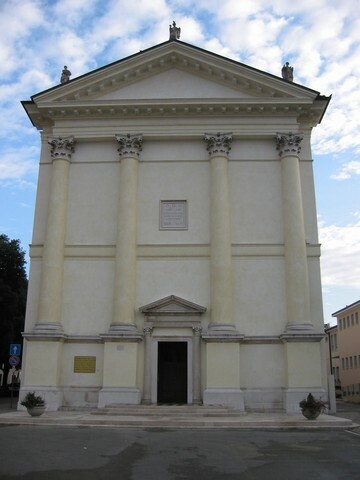 The closest large city to Aviano is Pordenone, which is about 15 minutes away. Aviano Air Base is about an hour northeast of Venice by car or train and an hour west by car of Slovenia, Yugoslavia's first break away republic. Austria is about an hour and a half away to the north by car, while Switzerland, Croatia & Bosnia are several hours away by car. Aviano Air Base is hosted by the United States Air Force 31st Fighter Wing (31 FW), a part of the United States Air Forces in Europe, a major command of the Air Force and also the air component of the United States European Command, one of the Unified Combatant Command of the Department of Defense. The 31 FW (Fighter Wing) includes a maintenance group, a mission support group, a medical group and an operations group (OG). Aviano Air Base's 31st FW OG is home to two F-16 fighter squadrons, the 510th FS (Buzzards "Purple Fin Flash") and the 555th FS (Triple Nickel "Green Fin Flash"). Both squadrons relocated from Ramstein AB in 1994. The wing was redesignated from the 401st Fighter Wing to the 31st Fighter Wing in 1994 as Aviano took on permanently based aircraft for the first time in over 50 years. Both are equipped with Block 40 F-16CM Fighting Falcons, tail coded "AV". Aviano's current mission is to conduct regional and expeditionary operations under NATO, SACEUR or national tasking. 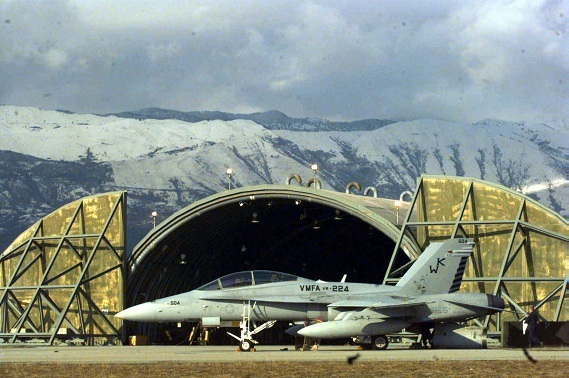 The History of Aviano Air Base goes back many years. Area 1 contains a few of Aviano's support functions (such as the library, ATM Shoppette, Bowling Center, Chapel, Child Development Center, DoDDS School, Education Center, Hospital and Dental Clinic, Pool and chapel). Area 2 contains a fitness center, dining facility, dormitories, thrift shop and a fire department. Area C contains most of the 31st Civil Engineer Squadron's facilities. Area E contains Contracting Squadron, AFN (American Forces Radio Network), Carabinieri (Italian Police), CPO and OSI. The Italian Carabinieri also have their base headquarters in this area. Area F is the flightline area, and by far the largest area in Aviano. This sprawling complex contains the active runway, taxiways and most of the base's facilities. This includes: Airman & Family Readiness Center, ATM (near bank/BX area), AMC Terminal, Arts and Crafts Skills Center, Auto Skills Center, Base Exchange, Chapel Offices, Child Development Center, Commissary, Eurocar (Rental Car), Global Credit Union, Home Fuels, Italian Bank (Banco Popolare), LaBella Vista Collocated Club, Legal Office, Lodging Office, MPF (Military Personnel Flight), Pass and Registration, Post Office, Shoppette, SATO Flight Reservations, Theater, TMO, Vehicle Inspections, Vet Clinic, WICO (Women Infants & Children Overseas) and Wing Headquarters. Aviano Air Base - Supporting Our Own Away From Home! Serving to welcome both newcomers and current American and/or NATO residents to the Aviano Air Base community and the surrounding area in northeastern Italy. Contents of this site are not necessarily the official views of, or endorsed by, the U.S. government, the Department of Defense or the Air Force. The appearance of advertising in this site, including sites linked to this site, does not constitute endorsement by the DoD, Department of the AF, AvianoAirBase.com or anyone associated with this site. © 1995-2016 - AvianoAirBase.com - All Rights Reserved.